KIEV, Ukraine -- IMAX Corporation and Triumf Media Group, one of the largest entertainment developers in the Ukraine, today announced an agreement to expand their relationship with the installation of three additional IMAX theatre systems in the city of Kiev and two other cities in the country. The agreement doubles the number of IMAX theatres scheduled to open in Ukraine, bringing that total number to six, all operated by Triumf Media Group, and it was signed following the box office success of the first IMAX location in Kiev. A second location from the original contract is scheduled to open in the city of Odessa and a third in the city of Lviv later this year. Under the terms of today's announced agreement, the first of the three additional systems is scheduled to open in Kiev in 2012. "Our first IMAX theatre has demonstrated tremendous potential for the IMAX brand in the Ukraine, and through this new agreement we aim to capitalize on our initial success by doubling the number of IMAX screens in the country," said Andriy Shpyg, General Director of Triumf Media Group. "Our single IMAX screen is consistently generating as much as 10% or more of the nationwide box office for major Hollywood IMAX releases such as Avatar, and demand for The IMAX Experience(R) has been so high on the weekends that many of our shows consistently sell out." "Ukraine is a new market for IMAX and to have one of the country's largest developers double its number of IMAX screens based on the early success of its first installation is very encouraging," said IMAX CEO Richard L. Gelfond. "The performance of the country's first IMAX theatre, as well as the significant success IMAX theatres are having in Russia, reflects the strong appeal of the IMAX brand in this part of the world, and we're optimistic about continued success and growth throughout the region." The Triumf Media Group's first IMAX theatre opened at the Blockbuster Entertainment Complex in Kiev in September of 2009. 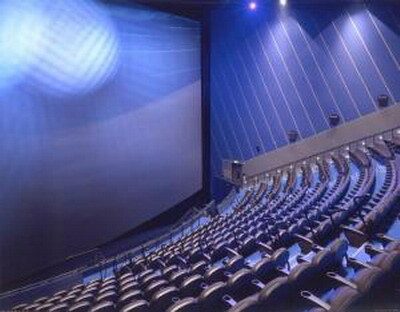 All six IMAX locations will utilize IMAX's digital projection system, which eliminates the high cost of film prints, making the IMAX theatre business more attractive for exhibitors worldwide. IMAX theatres deliver the world's most immersive cinematic presentations in both 2D and IMAX 3D, and showcase Hollywood blockbusters that have been digitally re-mastered into the unparalleled image and sound quality of The IMAX Experience. Your blog is very nice,i think Ukrainians are very open minded and enjoy trying new things.